I think the meme you posted is referring more to the fear of death than the fear of God. Most humans are afraid of dying, death and non-existence, and virtually all religions promise us that we will not die as a means to compel compliance with their dogma. I have come to to the sad realization that conversations with hardened atheists are usually pointless. Frank’s Cottage was not created for folks like you. It’s meant for people who are open to spirituality. So you have no interest in challenging or thinking about your ideas, but merely want to find a group of people who already agree with you? Frank’s Cottage was not created for hardened atheists. It’s aimed at people who are open to spirituality. I’m a skeptic before I am an atheist. I’ve met atheists who are the other way around, and who are as dogmatic in their atheism as any theist. They generally fail at being the test for skepticism. So I am open to any rational arguments, especially those with empirical support. Can your faith withstand rational critique? As for “spirituality”, can you define that or is it just a synonym for “supernatural”? For instance, many people describe themselves as “spiritual, but not religious”. (By the way…though I might not be your first choice, I’m the only one so far who has attempted to engage you in the conversation your requested…). I love the analogy of approaching Niagara Falls as approaching God. Perfect! 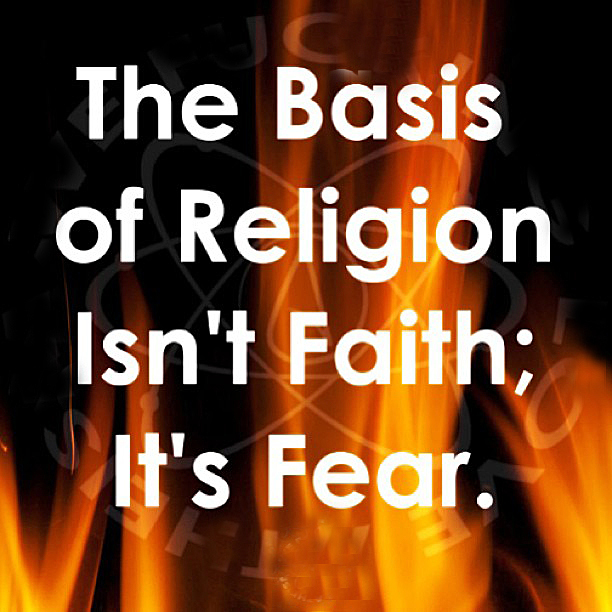 In my Christian experience, faith drives out fear. We have nothing to be afraid of when God is large and in charge, but in our human weakness, we do tend to forget that sometimes, don’t we? Bruce, I came to faith at age 42, after considerable reading, debating with brave Christians and thought. After all that, I have no further need to deal with what *you* call “rational critique”. You can find many, many, many websites and Internet communities for that. If you want “conversations with people open to spirituality” then why are you posting in the Atheism community on Google+? Seems a bit hypocritical, but then again that has been my experience with the majority of Christians in this world. Uh, I didn’t post this essay on any atheism community. In fact, outside of one or two many months ago, I never post links to my website on any atheism Internet community unless someone asks for a link.